Marathon non-metallic electric water heaters are energy efficient, durable, and lightweight. *Member pricing assumes all incentives/agreements and is not eligible for an additional rebate. **Please see the Use & Care Manual provided with the water heater for full warranty details. 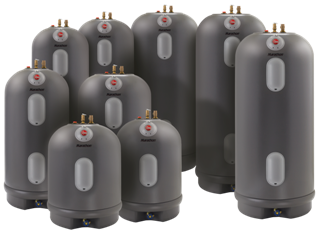 Please note: Midland Power can provide parts and warrantied tanks but we do not perform water heater installations, repairs, warranty registrations or diagnostics. Contact your local contractor for assistance. Call us to purchase one today! *The load control agreement form does not need filled out to receive a non-Marathon electric water heater rebate.